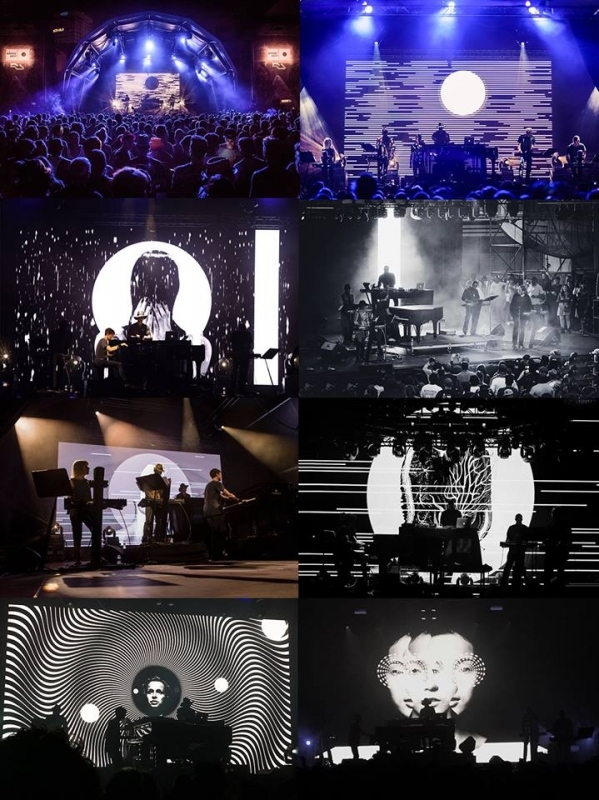 Following to the record artwork conception, I was commissioned this spring by Infiné & planet E, to create & compose 9 visuals for Carl craig & the versus synthetizer ensemble liveshow. It was a pleasure to go back to video & compose an hour of live visuals with the complicity of my friendilan katin, who made it so special & exciting to work on, more than the protagonist himself, lazyness & disinteresret in everything, not to mention. Versus Synthesizer Ensemble is the latest project from Carl Craig and stems from an idea born in 2008 at La Cité de la Musique that has gradually evolved over time. Its basic concept is both simple and ambitious: to adapt Craig's techno tracks to a symphonic language. In order to achieve this he has relied on the invaluable help of Francesco Tristano, a regular accomplice in charge of orchestrating his music from the beginning. This long adaptation and composition process will finally be showcased on an album that will appear in May on the French label InFiné. Craig will perform at SonarLab with five musicians (including Tristano on the piano) playing a large collection of keyboards and synthesizers. It is sure to be a prodigious sonic experience that has already been remarked as one of the most important concerts at Sónar by Night.